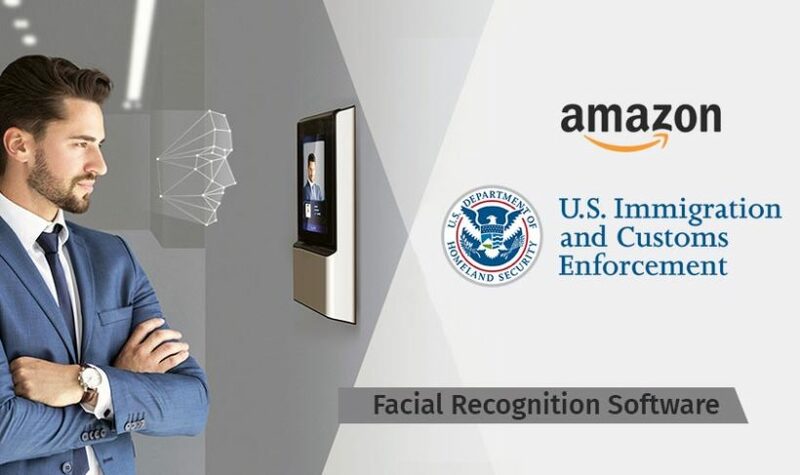 (by Drew Harwell, The Washington Post) – Amazon pitched its facial-recognition system in the summer to Immigration and Customs Enforcement (ICE) officials as a way for the agency to target or identify illegal immigrants…. At the June meeting in Silicon Valley, revealed in emails as part of a Freedom of Information Act request by the advocacy group Project on Government Oversight, officials from ICE and Amazon Web Services talked about implementing the tech giant’s Rekognition face-scanning platform to assist with Homeland Security investigations. An Amazon Web Service official specializing in federal sales contracts, whose name was redacted in the emails, wrote that the conversation involved “predictive analytics” and “Rekognition Video tagging/analysis” that could possibly allow ICE to identify people’s faces from afar — a type of technology that immigration officials have voiced interest in for its potential enforcement use on the southern border. “We are ready and willing to support the vital [Homeland Security Investigations] mission,” the Amazon official wrote. Amazon has marketed the technology to police departments as a way to target and identify criminals, and it is [used by departments] in Oregon and Florida. Civil rights and privacy advocates worry that the unproven technology’s expansion could have a chilling effect on public protests or embolden government and police efforts to supercharge mass surveillance. …Microsoft, a tech giant building facial-recognition tools that compete with Amazon’s, came under fire [from employees] in the summer for the potential work it could do as part of a major ICE contract. Bezos has donated money to fund college scholarships for “undocumented” students, but he has also publicly supported the tech industry’s contributions to national-security efforts and other government work. From washingtonpost .com. Reprinted here for educational purposes only. May not be reproduced on other websites without permission from The Washington Post. 2. a) In addition to the Department of Homeland Security, to what other government agencies has Amazon sold their software? b) For what purpose do they use the software? 3. Why do civil rights and privacy rights activists oppose the use of Amazon’s facial recognition software by police? 4. Why do Amazon employees oppose the sale of Rekognition to ICE? 5. Do you think ICE should have the ability to identify illegal immigrants on the southern border, or do you think it violates their human rights? Explain your answer. 6. Mr. Bezos defends selling his technology to the government, saying, “If big tech companies are going to turn their backs on the Department of Defense, we are in big trouble.” He also has donated over $30 million to pay for undocumented students’ college tuition, and said if it was up to him, he would let every immigrant in. Amazon owns many other companies and businesses. It knows more about you than many of your own family or friends do. a) Do you think Mr. Bezos’ motives are truly altruistic, or does he want the lucrative government contract? b) How comfortable are you that Amazon and Jeff Bezos will be able to track and ID every person in the U.S. should the use of his software become widespread? 7. There are 2 different issues here: using facial recognition software on the border to monitor who is coming into the country, and using it to be able to identify any citizen walking down the street. Do you oppose one, both or neither? Explain your answer.